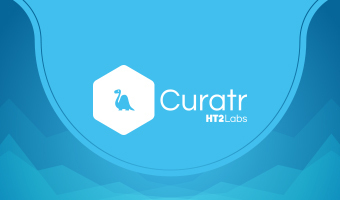 Curatr gives you the tools to build and deliver engaging online courses that get people talking. "The perfect non LMS - LMS"
The system is like Google Docs for the LMS world. it covers 80% of normal LMS use cases for 80% of the population. and does not put the other 20% of "features" in the way of the majority of users. The system does not overwhelm the administrators nor the end users. Does it what needs to do and does it extremely well. certain aspects of the visual user experience could stand a little facelift, but I hear that is coming soon. the admin interface could be a little easier when needing to mass update certain entities within the system. I am trying to think of other things to dislike but honestly can not come up with much of anything. When an enterprise LMS is overkill and simplicity, performance and support are a must, Curator is a must check out solution. We use the system for new employee onboarding, knowledge transfer and just in time performance support. We setup public areas to provide customer training and onboarding assistance for our own software platforms and our marketing department uses the system as a marketing tool by providing educational resources for our clients and potential clients industries. * We monitor all Curatr reviews to prevent fraudulent reviews and keep review quality high. We do not post reviews by company employees or direct competitors. Validated reviews require the user to submit a screenshot of the product containing their user ID, in order to verify a user is an actual user of the product. Hi there! Are you looking to implement a solution like Curatr?